Only 21 days left until my little girl’s due date. But, let’s face it, as a repeat c-section, she’s going to be out by July 5th. And that means that my little nugget might actually be born on July 4th! Wouldn’t that be the best thing ever to always have fireworks on your birthday? So with the very real possibility of having an Independence Day baby, let’s talk baby showers. 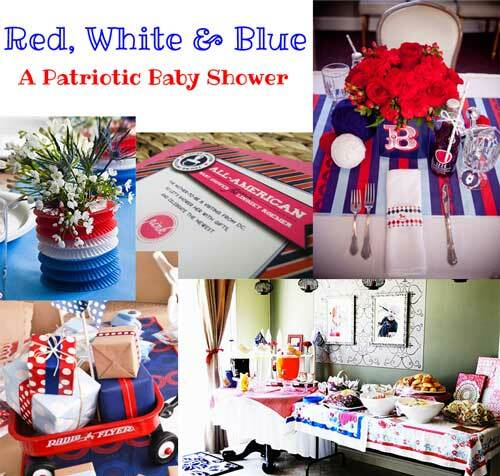 This is the perfect time of year to host a patriotic themed baby shower. You could use traditional Americana decor with galvanized steel stars, and red, white, and blue bandanas. Or you could use more modern touches with bold graphics in red and blue with stripes or chevron. 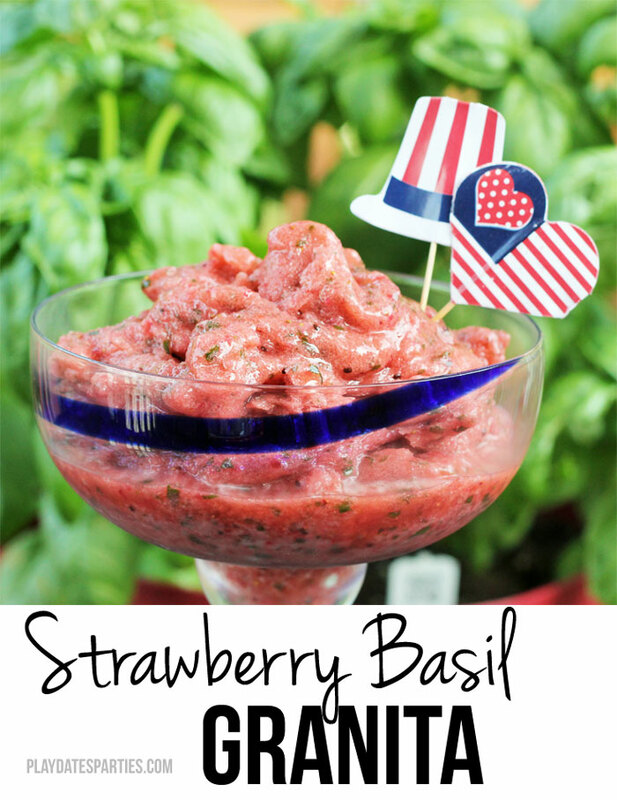 Whether planning a patriotic baby shower for a baby due right around July 4th or just because the shower is hosted right around Independence Day, this is a fun theme that can be pulled together with lots of easy and fun touches. – This red, white, and blue vase is actually a paper lantern! Better Homes and Gardens shares the details on how to make your own in just seconds. – These “All-American” invitations from Swatchbook Weddings strike the perfect balance of patriotic and modern design with the diagonal stripes in red and blue. I think my favorite part of this party from Paper & Cake is the vintage-style tablecloths. It just makes me feel like I’m at a neighborhood picnic.